Hope you and your hair are doing great. This product was a favorite when I first wet natural (I really had no idea about how products should work with my hair at the time) and I am happy to report that it is still very much adored!!
" This rich, dense moisturizing cream is Oyin's first product. It's a mixture of rich botanical butters & oils like shea butter, cocoa butter, and castor oil; blended with plenty of pure aloe vera gel and spring water for lightness & penetration. The result is superior, rich, penetrating moisture in an all-purpose, head-to-toe product. " This product has water making it very moisturizing. 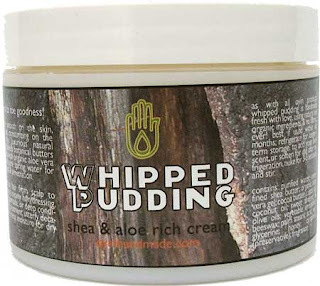 It melts into the hair and softens the hair like butter. It does not leave any build up in the hair. The shine that the hair gets from this product is amazing. The moisture in my hair lasted for about three days, using this product. I've heard such great things about this product, I may give this a go. Thanks for sharing Tinkue, take care. Yes Vonnie. It is an awesome product. Every Coily should try it! !